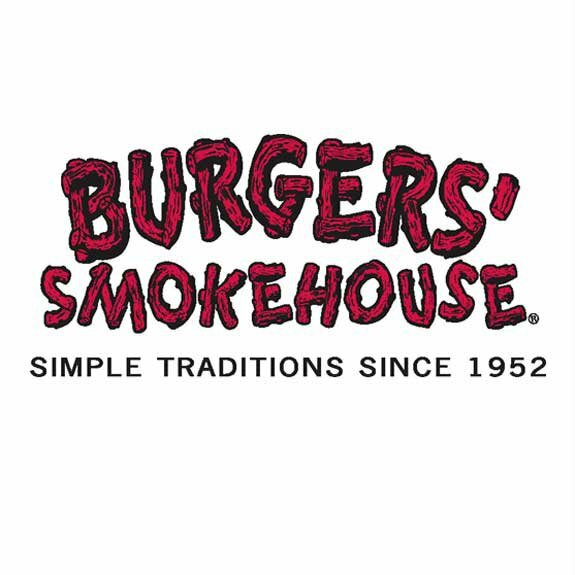 Recently, I was browsing the internet and stumbled upon Burgers' Smokehouse. Their meats and other items looked so yummy so I sent them an email to see if I could do a review. They happily agreed! I was so excited because I love food. I didn't have to wait long. I spoke with Cathy at Burgers' Smokehouse via phone on a Wednesday to discuss things and I had my goodies that Friday! 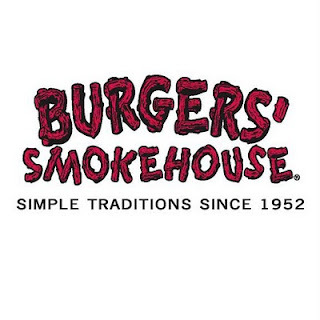 Since 1952, Burgers' Smokehouse, located in California, Missouri, has been providing the highest quality food with the convenience of door-to-door delivery. They follow stringent standards of craftsmanship with meticulous attention to detail ensuring that every meal is delicious and hassle free. Burgers' Smokehouse was generous and sent me: 2 trays of pulled pork BBQ, 2 packages of their city ham steaks, a tray of their rosemary garlic boneless skinless chicken breasts and an apple pie. Their pulled pork BBQ couldn't have been any more simple to prepare. I just placed a tray in the microwave for 3 minutes and it was done because they are fully cooked! The pork was extremely tender, flavorful and no fat at all. The BBQ sauce was ample and the tray wasn't heavy on the sauce, which is great because you are not paying for a tray of sauce and very little meat. Each tray was 16 ounces. 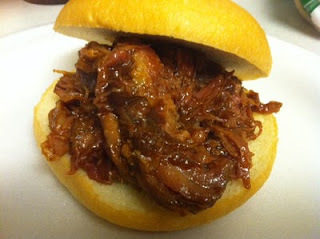 I made pulled pork BBQ sandwiches and they were amazing. I made ham sandwiches and ham steaks with scrambled eggs with the city ham steaks. The ham was juicy and not overly salty. The steaks are fully cooked and would be great in a pinch for dinner. I made the Rosemary Garlic chicken breasts for dinner one night along with mashed potatoes and corn. It was a perfect meal. The spices were not overpowering at all and the chicken was fresh, the fat was trimmed to next to none and the chicken couldn't have been more tender. The chicken came in a ready to heat and eat tray, just like the pulled pork. Since they were fully cooked as well, it only took a few minutes to prepare an excellent dinner for my daughter and myself. The apple pie arrived frozen and unbaked. 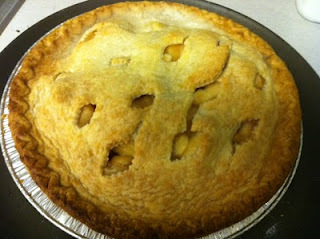 I baked it according to the directions and I had a lovely dessert. 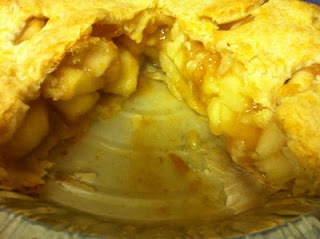 The crust was flaky and the apples were fresh. The pie didn't have a ton of spices which I prefer in a pie. Overall, the pie was excellent and I had it warm with vanilla ice cream. If you have not tried the foods from Burgers' Smokehouse, you are seriously missing out!! They have a huge selection from ham, turkey and bacon to burgers, chicken and pulled pork BBQ. They even have sides and desserts. 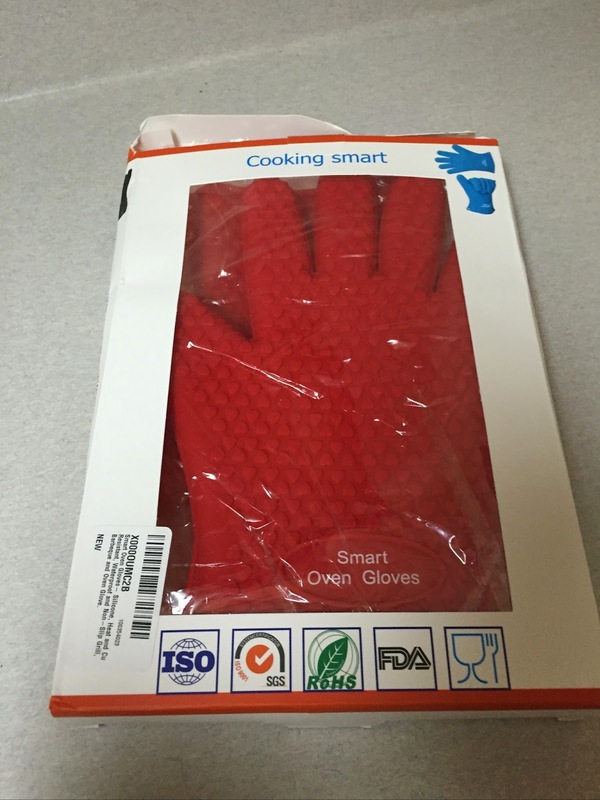 Any of their items would be fabulous to serve at Thanksgiving or Christmas. Why slave over a hot stove all day when you can buy the food already cooked and just heat and eat! I cannot wait to try some more food from Burgers' Smokehouse in the future. I know I won't be disappointed and if you try their food, you won't be either! !